Screw compressors are the true workhorses for Industry. Designed for continuous duty cycle, delivering a reliable source of compressed air day in – day out, day shift, night shift, whatever your needs. Model selection is important to match your current and future needs to the performance curves and characteristics of each machine. 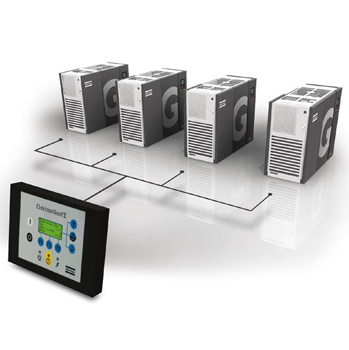 VSD –Variable Speed Drive units electronically vary the electric motor characteristics to match output to demand. . This in turn helps to conserve the amount of energy expended compared to a standard fixed speed model. Air Energy consultants can advise you on the most cost efficient brands and models. Screw compressors have the primary share of the industrial air compressor market. They use two rotors to compress the air, which is sucked in at one end, trapped between the rotors and pushed out the pressurised end. 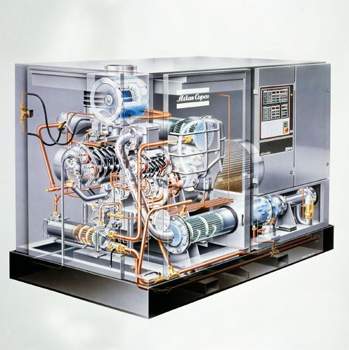 Screw compressors are available either oil-cooled or oil free, but the latter option should only be considered if you need 100% pure compressed air. They can supply large volumes of compressed air, and are typically used in applications which have a continuous need for it. The benefits are numerous; they are considered to be more energy efficient than piston compressors (although they are also more expensive), they generate a low level of noise, and produce compressed air at the lower end of the temperature scale. compressor company in the world. Authorised distributors for Atlas Copco like Air Energy are selected and evaluated rigorously on quality, delivery, competitiveness and reliability. Air Energy specialise in 3 main product areas from Atlas Copco; Atlas Copco AIR COMPRESSORS & GAS GENERATORS, Atlas Copco AIR NET and Atlas Copco AIR TOOLS. With 100 years at the forefront of compressed air, Atlas Copco claim the finest quality and efficiency and are recognised market leaders. 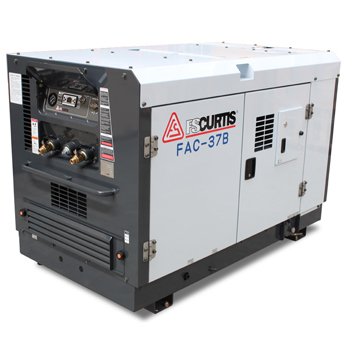 The compressors are engineered to ensure the highest level of reliability and efficiency. Air energy offer a comprehensive range of Atlas Copco Screw compressors including tank mounted smaller models to the larger free standing machines, with or without built in dryers, plus the option of electronically controlled multiple units. Contact us to help you select the best model for your needs. Another leading brand of air compressors that the Air Energy team have a very close working relationship with and can offer you is Champion Sullair which began as an Australian designed and manufactured product and is now a subsidiary of Sullair LLC, recognised globally as a leading supplier of stationary and portable air compressors along with compressed air treatment equipment and vacuum systems. Having over 40 years’ experience in the Australian market has allowed Sullair Australia to develop products to meet the specific needs of the Australian market. 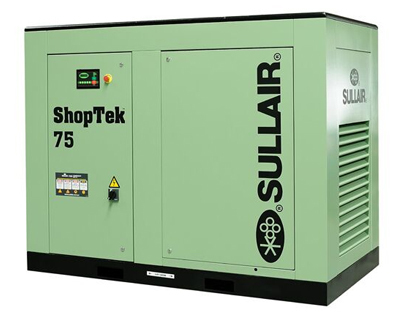 Sullair’s Champion and ShopTek range of stationary electric compressors are used by customers ranging from small workshops through to some of the nation’s largest manufacturing and mining operations. 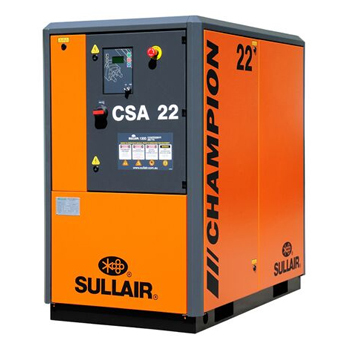 Sullair Australia’s Champion air compressors are a premium range offering maximum benefits and solutions for industrial applications. 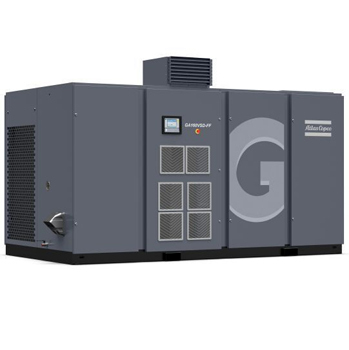 Champion compressors are capable of operating in harsh environment by providing the most energy efficiency. Sullair’s TS Range(two-stage rotary screw stationary compressors) offers high volumes of compressed air for large air applications(75-450kW). 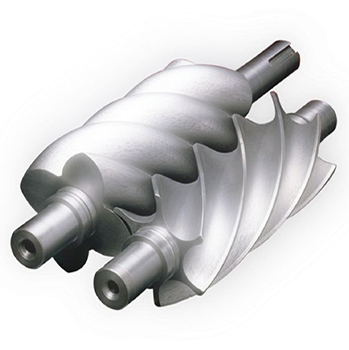 Most rotary screw compressor sold in Australia use a single stage rotary screw air-end. Sullair has a unique proven 2 stage technology employing two-stage VOC air-ends in series. This unique technology is the class leader in energy saving technology. Power advantage of 11 to 13 % over equivalently sized single-stage compressors. Sullair’s CHAMPION and ShopTekTM Screw Compressors are superior products providing the energy efficiency and reliability required for your operations. Again, talk to the independent experts at Air Energy for your best deal. Amongst the other reliable brands that Air Energy can offer you is Glenco Air & Power, an Australian market leader delivering unique, high quality and competitively priced compressed air and portable power products. 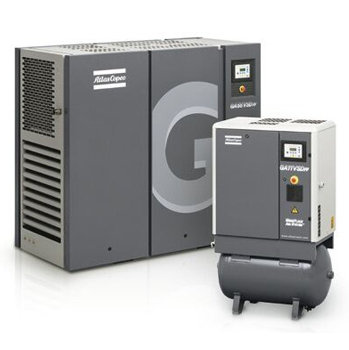 Over the past 30 years, Glenco has evolved into a key player in the compressed air industry and the range of premium air compressors includes their own Airmac and Senator brands as well as compressors and related products from Fusheng, FS-Curtis and Puma. Customers are at the heart of our business and we know the importance and convenience of local sales and support for our clients. You can have the advantage first class product selection advice, after-sales service and genuine spare parts. All of our products comply with Australian workplace health and safety regulations for industrial workplace use. Customers can have confidence that our products will always deliver on their claims and as Glenco are CAAA members are obliged to publish performance figures in accordance with recognised technical standards.